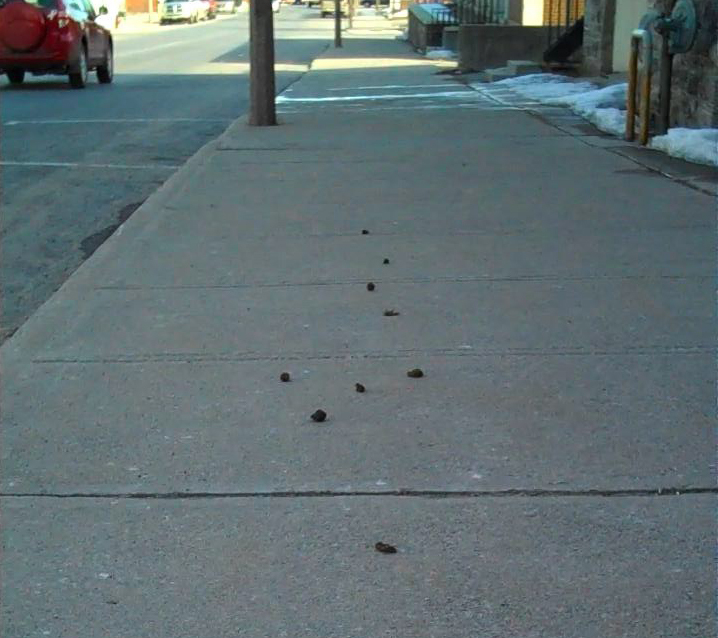 It's Dog Walking Season in Arnprior. This is Madawaska Street, Town Hall to the right. I was zooming into the studio to check on things. When I pulled over to the curb to park I saw this long line of people, single file, walking their dogs across Madawaska Street, from the corner with Macs all night convenience store toward a pizza parlor. I thought, “How cool is that?” and dug out my camera, but I couldn’t get set up in time. Then I climbed out of the vehicle and almost stepped into, well, the cute line of you know what photographed above. Do you think the dogs or the people are making a statement by leaving this curiously spaced string of stuff at the Town Hall?